Set in contemporary Los Angeles, this mature debut illuminates lives on the margins of this most duplicitous of cities. 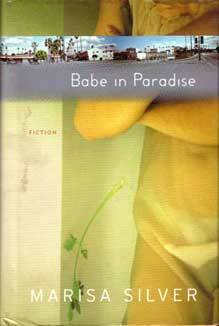 Although all the characters in Babe in Paradise live in Los Angeles, none of them partake of the glamour and success that mark the city. Babe of the title hurtles into a dissolute relationship with a truck driver as a fire engulfs the hillside house she and her mother share. A carjacking forces the young husband and wife of “What I Saw from Where I Stood” to confront the loss of a child and the way in which this loss has reshaped their marriage. In “The Passenger,” a limousine driver finds a baby abandoned in a suitcase, a discovery which exposes her own fragility. The young couple in “Statues,” hell-bent on capturing the Hollywood dream, go horribly off course, landing in a derelict world that lays bare the emptiness of their desires. A mother and her wheelchair-bound son are robbed in “The Thief,” only to find that the thief has stolen more than their possessions. In “Two Criminals,” a man confronts his brother’s oncoming death and commits a crime that will ensure his brother’s legacy. The unforgettable characters in Babe in Paradise dwell in the Los Angeles of seismic geological change, of racial unease, of parched desert landscapes littered with the detritus of urban ambition. Marisa Silver has a genius for making us care deeply about her characters, their everyday desperations and hard-won hopes.